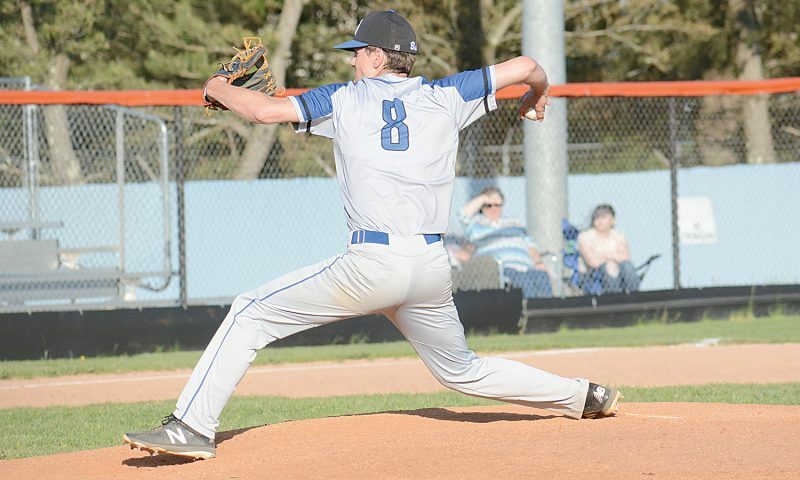 Elkins High School senior pitcher Adam Riggleman earned the victory on the mound Wednesday for the Tigers against Robert C. Byrd. Elkins prevailed 11-6. 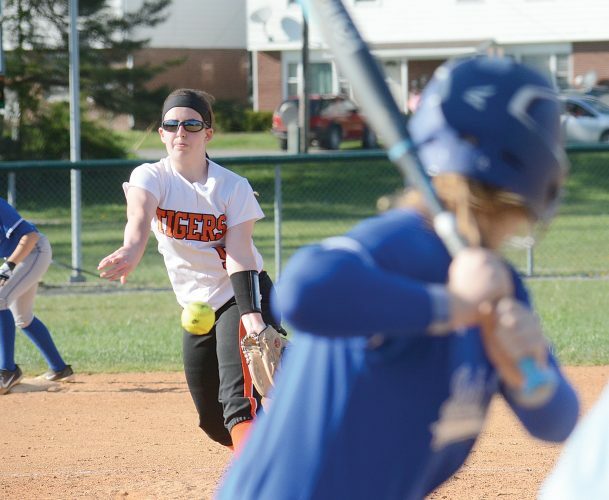 CLARKSBURG — The Elkins Tigers split a pair of games Wednesday after beating Robert C. Bryd, 11-6, and later falling to East Fairmont, 8-7, in a game that was continued from a rain delay on Tuesday. 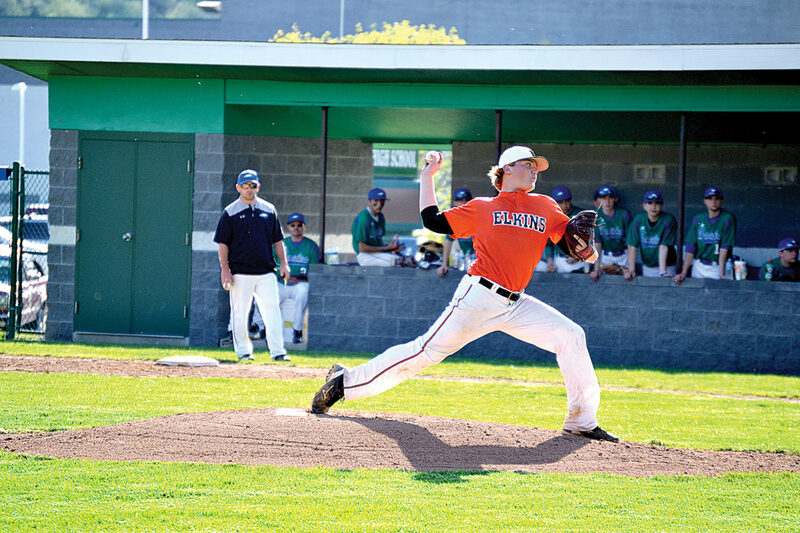 In the game against RCB, Adam Riggleman earned the victory on the mound. In 6 innings of work, he surrendered 6 runs on 5 hits, while striking out 7 batters and walking 3 others. Kyle Riggleman entered the game in relief and pitched 1 inning, tallying a strikeout and a walk in the effort. Tre Jenkins took the loss for RCB. He gave up 11 runs on 12 hits and walked 2 batters. Ben Huffman set the pace at the plate for Elkins. He went 3 for 5 with 2 doubles and 2 runs scored. Kyle Riggleman, Read Schumacher and Will Crumm each recorded 2 hits and a run scored, while Russell Shiflett went 1 for 1 with a run. The Tigers were down 3-5 going into the top of the 6th inning, when the offense came alive and pushed 8 runs across the plate. Luke Petrice, Joseph Schmidlen and Huffman connected for doubles in the rally. 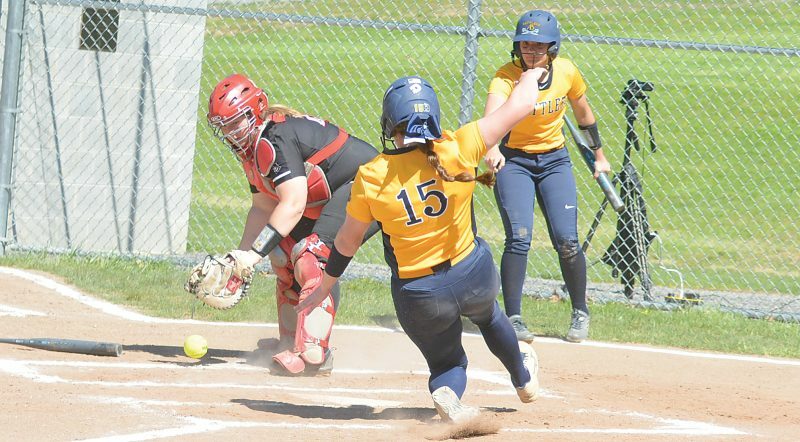 After downing RCB, Elkins traveled by bus to East Fairmont High School to finish out a game that was postponed from the night before. The contest was tied 6-6 in the sixth inning. The Bees were batting with 2 outs and had a runner on third base. Once the game re-started Wednesday, EFHS took an 8-6 lead after scoring 2 runs on an error. Elkins notched a run in the top of the seventh inning but couldn’t overcome the deficit from the mishap. Jesse Williams took the loss for Elkins. He gave up 6 runs on 4 hits and walked 4 batters. Petrice finished the game 3 for 4 with 3 doubles and 2 runs scored. David Gainer also played well, going 3 for 4 with a double and a run scored. Elkins (8-1) will have a few days off then return to action on Monday to host Class AA No. 1 ranked Bridgeport. Junior varsity action begins at 4:30 p.m. and the varsity contest is slated for 7 p.m.